Ultimate Security Services are pleased to announce that the close working relationship they have with Tower 42 will continue until 2020. 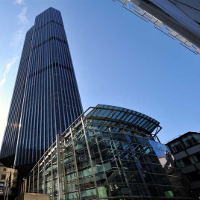 The Tower 42 Management team, BNP Paribas and the building’s owners are delighted with Ultimate’s level of expertise, high standard of officers and range of solutions provided including security, front of house and post room. 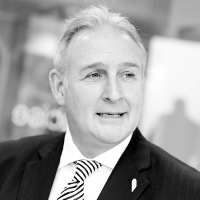 Barry Rushmer, General Manager at Tower 42, wishes to work with a security partner that operates collaboratively with him. Above all, Ultimate are adaptable and willing to respond to change, to aid the smooth operation of the building. Steve Hall, Chief Executive, Ultimate Security Services commented: “We are delighted that Tower 42 has extended its contract with Ultimate and recognises our evolving service delivery model. Having originally been awarded the contract in 2001, Tower 42 is an important part of our history and we are pleased that we will continue to be part of each other’s future”. Completed in 1980, Tower 42 has 42 floors, with approximately 320,000 square feet of space. It is a 24-hour office building incorporating multi-disciplinary and multi-national tenants – 3,500 people in total. Apart from office accommodation, the complex also contains restaurants, a health club, and offers many other services.